Vance Family Soy Candles - Enter to win $380 worth of clean candles. Scent is a powerful trigger of memory. Amy Vance, owner of Vance Family Soy Candles knows this and has developed a line of candles around her love for each one of the United States. 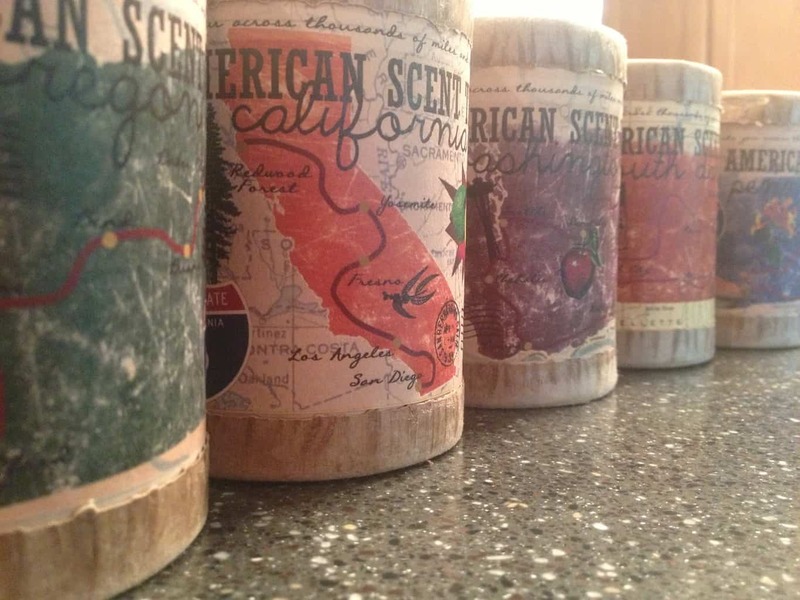 The American Scent Trip candles celebrate the uniqueness and beauty of each state through fragrance, based on Amy's memories of time spent there. I have had the pleasure of discovering countless American made products, all lovingly made, and this one stands out as one of the most special. This quote graces each natural candle, poured into heavy glass then cleverly packaged in a cardboard cylinder resembling a native American drum. The package art features the shape of the state and its' major interstate highway. On the backside is a passage written by Amy of her fragrance inspirations. Pennsylvania is mellow and sweet with honeysuckle, Hershey's chocolate, and the spicy cinnamon molasses of Shoo Fly Pie. Oregon is crisp and intoxicating with coffee, hazelnuts, sage, marionberries, and Douglas fir. California is light and verdant, full of bright fruit and citrus notes balanced with earthy Redwood and eucalyptus. Appreciating each scent is as satisfying as tasting fine wines. 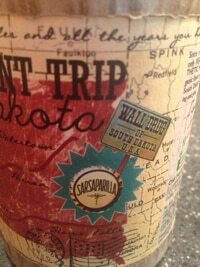 As a bonus, each one includes a local recipe or fun facts about the state. Reasonably priced at just $16, I can't think of a more delightful American made item to have on hand for gifts or simply for personal enjoyment. There are currently five states in the American Scent trips line: Washington, Oregon, California, Texas, Pennsylvania, & South Dakota. Eventually all 50 states will be depicted and you are invited to share your state along with your favorite scent memories in the comments below. Vance Family Soy Candles also makes a wide variety of other candles including ones inspired by holiday drinks and cocktails, travel candles poured in tins, long-lasting spa candles, massage candles, and specific flower scents such as gardenia or rose. All of Vance Family Soy Candles' products are made in Washington from renewable, non-GMO, biodegradable soy and organic essential oils and flavors. This means no dyes, no petroleum products, and no phthalates. They burn with low smoke, from cotton or paper wicks, packaged in heavy recycled glass. All of the packaging and products used in these candles are American-made and they donate at least 10% of profits to charity. Vance Family Soy Candles wants a USA Love List reader to win one of every candle in their collection. This includes all of the states currently available in their American Scent Trips line: Washington, Oregon, California, Texas, Pennsylvania, & South Dakota plus 18 more candles, with a value over $380. Click the +1 button for further instructions on each entry. This giveaway will close at midnight on Thursday May 30. The winner will be randomly selected, verified for correct entry participation, and notified by email. I would love to win these candles! Made in the USA and from soy & organic scents, low smoke & really neat designs! I will definitely be checking these out – hope they get to the southern states soon, I’d like some with Alabama or Florida on them! Hi Lynn! I DO have Alabama and Florida done I’m just awaiting the finished label design! I used to live in Montgomery, Alabama as a child and, during my college years (when I lived in Virginia), I would spring break in Florida so I have many, amazing scent memories of the states! Florida is loaded with citrus (of course!) along with some organic pineapple, coconut, and banana flavor oils (they remind me of the sunscreen at the beach!) and Alabama is woodsy & peachy. Since I haven’t released these yet, I’d love insights on your favorite scents from the states, there’s still time for me to add them! Oooh, ALL of those sound good! For Alabama you could also go with a magnolia. The state flower is the camellia, but though some are fragrant – there isn’t a distinctive camellia scent. Thanks Lynn! I want some magnolia in the Alabama but haven’t been able to find an organic oil for it 🙁 I’ll try again! Thanks again for the suggestion! would love to try your products, and made in american makes it even better. Hi Lisa! Thanks for supporting Made in USA! It became very apparent to me, when I first starting making candles and buying materials, that finding made in USA materials wasn’t going to be easy! I’m so glad USA Love List is here to help! Thanks again! OMGosh – I’d place the candles all over our house, including the bathrooms! winning this awesome package would allow me to share with my friends and family – I would gift them as Christmas presents! Soy candles burn so nicely, cleanly and the scents are so true. I readily agree! Thanks Jennifer! I have so many American scent memories but one of my favorites is from my childhood summers: sea salt/beach while hiding in the dunes on the beaches of Cape Cod! Oh thank you md kennedy for this scent memory! May I use this memory for the Massachusettes candle? Also, great that you are taking the time to read and respond to the comments on this giveaway! I love the feel of candles in my home. When I am entertaining, I always light them..I mean, what’s the point if you don’t use them! And these are beautiful! Thank you so much Jeane! These look so pretty….would love to smell them & try them….would make great gifts….they’re so pretty….thanks!!!! Thank you so much Beckey! Such nice comments, I wish I could give a prize to EVERYONE! I would love these candles, as a candle afficionado. I like the Seattle rain, the State inspired scents, like California, and the pretty handblown glass holders. Thanks Helga! As a self-proclaimed candle afficionado I think you would really appreciate the real scents in the candles. It is so fun smelling California, for instance, and actually smelling real Redwood Cedar, real eucalyptus, real orange, real grapes and real strawberries! Thanks for the comment! I’m glad you like the handblown glass holders too. Corey Wolfe, a father of 3 girls & owner of Portland Glass Blowers, handcrafts them for us ( Vance Family Soy Candles). He will soon be teaching my eldest son how to make them too! These candles look fabulous. I’d be especially excited to win the California scent for husband who grew up there, and misses the fresh citrus fruits! Rebekah, you will love the California candle. My daughter keeps coming into my office to swipe it from my desk to smell it. She says, “ah! It smells just like California!” I say, “Um, you’ve never been to California.” And she says, “I know, but it smells fresh and bright, just what I think California smells like!” Well, I have lived in California and I doubted that one could capture the whole state in one fragrance, but this one does it beautifully. And, I totally agree Rebekah! One of my favorite things on earth is the smell and taste of a ripe orange off a California tree. Smells and tastes just like sunshine and happiness! Would love to try these. Love that they are made out of renewable ingr. and USA made. Thanks Estella! I began making candles because I wanted candles I could burn without having asthma attacks! After much research, and realizing all of the harmful substances in most candles, I set out to create 100% naturally scented candles made with only plant materials. I’m committed to buying as local and sustainable as possible so I also made sure the materials I used fit with my values. It was quite hard to find reasonably priced, made in the USA glass containers (just for starters!)! It is wonderful to see so many people also committed to buying sustainable and local (like you!). Thanks again Estella! Hi Mikelle! Awesome to see you on here! 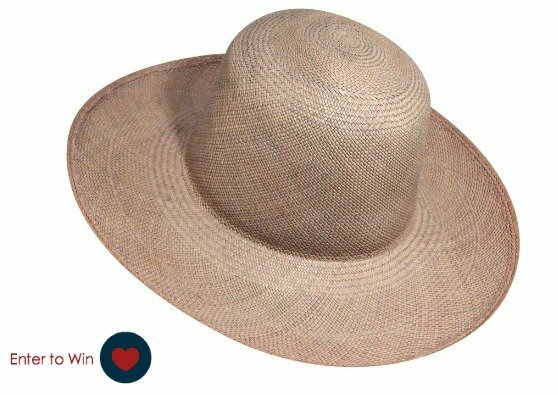 Thanks for the compliment :), for being a fan, and for buying American made and sustainable! I’d love to win these candles because I agree wholeheartedly with Vance Family Soy Candles’ philosophy – organic materials, small business, and made in the USA. Thank you Rosa! It’s so wonderful to hear from wonderful people like you who support sustainable, small business, and made in the USA! Thanks Rosa for making a difference! I want to win because I love having products and services from small American businesses. I know this is an odd one, but one of my strongest scent memories is the smell of Jergen’s hand lotion (when it was in a glass bottle) in my grandmother’s kitchen in Northfield, MA. Any time I smell whatever it was in that lotion, I get amazing memories of my Summers and Winters in the country in Western Massachusetts, and of course of my Grandmother. I want to win these candles because I love the design and it’s made in the USA and it’s close to where I am. I want to be able to tell friends about it. I want to win because these candles are so beautiful and they would look great all over my house! This is a comment for the wine contest but it seems fitting that I enter this contest as well. Some fine wine and these awesome candles….I see a romantic evening on the horizon. P.S. I want to win these candles because these candles look divine. Most American kids who are lucky get to experience the joys (and pains – think mosquitoes!) of Summer camp. As an adult, ever time I walk through a forest after a rainfall, the scent of wet pine and the musk of the dirt and decaying leaves always brings back memories of my times at camp . These would make lovely gifts for so many only my Christmas list. I started thinking and shopping on January 2! I want to win because I like to showcase eco-friendly and American products in my home. When I was about 12, my family took a trip to Florida – our first “big” family trip since moving back to the states from japan (my Dad is an Air Force pilot). I will never forget how excited we were to see all of the orange-selling stands on the sides of the roads; we finally pestered our parents enough to stop and buy us little plastic oranges with fresh juice and a straw stuck in them. We savors that juice for HOURS sloooowwwwlllllyy sipping it and dribbling it in the car, in our hotel room…..EVERYTHING smelled of oranges. We even sneaked oranges into our suitcases and by the time we arrived home even all of our clothes smelled of orange. So to me Florida means the scent of fresh oranges. I’d give some as gift, but i would have to a keep a few (or more!) for myself! The smell of charcoal burning reminds me of summer cookouts as a kid. That smokey smell brings back the Jersey Shore vividly! These are THE BEST candles ever!!! I will burn no other candles except these!! I want to win because not only would I be able to spruce up my house with the candles, but I would be able to gift some – they would make awesome presents. Whenever I catch the scent of briny sea, I think of the times my family spent fishing from a boat off the shore of Maine. I would like to win beause I really need something good to happen to me this week! Thanks for the opportunity! The scent of Bain de Soleil vividly bring sback summers at the Jersey Shore! I have not seen these until today. I love that they are American made. I wish more things were. There are so many great scents. I would love to try them all! Thank you Linda! I readily agree with your statement “I wish more things were” regarding American made. Thank you for your comment! I want to win because, honestly, for once I’d like to win something. A few years ago I was lucky to participate in a guided tour of a nature preserve outside Phoenix, Arizona. Now, whenever I am hot it is dry, and the wind is stirring up dust, the smell of the dust reminds me of Arizona. I would use these in the house, since soy burns cleanly! I love candles, and soy candles are quickly becoming my favorites…I just find their scents to be less…artificial than regular candles, if that makes any sense. What a wonderful prize. I’d love to win because I love candles. I love soy candles especially, with the way they burn. Having a candle burning, makes a home feel warmer. If I won, I’d share this wonderful prize with family and friends. The smell of fresh cut grass reminds me of my childhood, playing in our yard. The smell of pies cooking, always reminds me of my Grandma, who when I was a kid would bake all the time. Thanks for sharing Margaret! What wonderful scent memories! Hi Amanda! American Scent Trip – MAINE is in the works and, yes, it contains organic blueberry oil!!! Because it would be a welcome indulgence compared to our dollar store candles. We’d love to try these. I would put them in every room of the house, I agree with them that scent is so important and I love candles. I would love to win all of these so I could have them all over in every room. If I win I could make a beautiful table centerpiece for our Sunday evening family dinners. When I was young my mother decided that she would take her three oldest kids, including me, to New York City for a vacation. One scent that will always stock with me (unfortunately!) is the combined smell of trash and oil in the subway as my brother, sister and I watched, fascinated, the rats running around the subway tracks. Whenever I catch that smell – not unusual in cities – I remember that great trip. Not sure you want to capture that scent in a candle, though! I love candles but with allergies, clean burning soy is the only way to go! I would love to try your soy candles. Thanks Debbie. I appreciate your comment! The smell of lilacs reminds me of my childhood home. We had a hedgerow of them in the Wilmington, Delaware house and in springtime, it smelled like heaven! 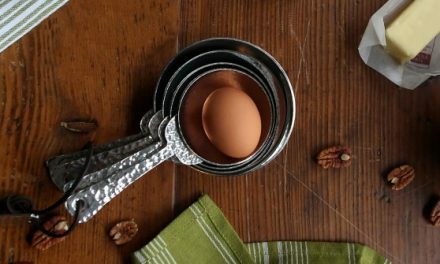 These lovely scented candles would help dispel cooking odors — I always keep a scented candle in the kitchen! i LOVE candles. i usually end up buying ones on sale that have toxic stuff in ’em just to save money, but i really prefer natural stuff because i can totally smell the difference! so i would LOVE to win these! I would like to win because I think this is a great idea. Im not a crazy candle collector but I want to smell the states! I would love to win these for my mother-in-law. She loves candles and I love her. we at FOUR GIRLS LAUGHING HOPE TO WIN AND SMELL THE CANDLES!!! We lived in Vancouver most of our young lives and was very glad to find the VANCE SOY CANDLES and hopefully get them into our store !!!!! So great to hear from you Colleen! It would be my honor to have candles in your store! I love candles and would love to support a non-GMO-oriented company while I’m at it! So glad to hear Denise! I would love to use these as gifts! i love the fact that this company uses no synthetic fragrances! this prize is just awesome and anyone would be a fool not to want it! i would really love the option to pick a candle fragrance on a whim from my own private collection,lol! fantastic giveaway-thanks! You are welcome! Thank you for the glowing comment! I enjoy lighting candles as the sun goes down, letting me relax and unwind, I would love to use yours in my home -making this contest one I would really love to win! Although many people don’t like it, I love the smell of “farm” (OK, manure and hay) because it reminds me of summers I spent at my grandparents’ in western Massachusetts. I cook – A LOT – and my family loves strong flavors (spicy, curry, fish…) so having Vance candles around the kitchen would help eliminate the not so nice day-old smells! I am a lover of candles… any candle to intice my smelling senses makes me happy!!! They would make great gifts…if I could bring myself to give them away! No synthetic scents! I love that!! At a dinner party I could use a pile of candles on a tiered stand for a gorgeous centerpiece. This is a HUGE giveaway — I would share the loot with family and friends! Soy candles are the best! I really like their philanthropic efforts! I burn candles every day, so these would be a great way to fill my stockpile! Ohio here! Pine scent = HOME! I would love to win because I LOVE candles and want some new soy ones! I live in Southern California, so I think sunshine and the ocean would make a great scent! I like that the candles are Dye-Free (goes with any decor and won’t have negative affects on allergies or the environment). I burn candles daily and would love to win to add to my collection. Thanks Debra! I’m so glad you appreciate that they are dye-free! I’d like to win because I love the pure nature of all the ingredients and that they are just really pretty. i like how they’re promoting American states. I would love to win because I love candles. I would burn them all and maybe give a few of them away! I want to win these candles because finally my husband won’t complain about the smokiness when I burn candles in our house. One of the beautiful things about Massachusetts is all the fishing ports. Whenever I smell fish mixed with petrol and sea water, I think of all the time I spent fishing when I was a kid. Can you make a candle scent of that (without the petrol)? I totally agree that the smell of fishy, salty, air is amazing and takes us all to that “I can smell the beach! We’re almost there!” moment. Up until this comment, however, I wasn’t sure if anyone would want a candle that smelled like that. Now I just may have to experiment 🙂 Organic fish oil & sea salt candle…..Thanks for the fun suggestion md kennedy! I love trying new candles, love that they’re soy based & made in America. They need a Nevada scent, don’t really know what that would be. Nevada is in the works and includes Bristlecone Pine and Sagebrush! I started drinking coffee (heavily) when my son was born. The smell of coffee and the sweet smell of newborn are linked in my mind. Every morning I wake up to the smell of coffee brewing and I think of my beautiful babies with a smile… even though my son is now 17! What a great scent memory Susan! I love that these are clean-burning soy. I would like to share them — especially with my oldest daughter who is away at college! i would love to win one of their products because i LOVE candle first off and i went to their site and loved it because We are committed to making only plant based, all natural, sustainable products that will make the world a better place to live and breathe this is so important because often to much the candles i buy are so over powering i cant burn them or they affect my son who has allergies and asthma these candles would be so wonderful….thanks so very much and many blessings on this chance to win this amazing prize package thanks.. It means the world to me to hear comments like this. Thanks Amy! I would love to win because I would love to try GMO free soy candles. They look really nice! Old Bay brings me back to my home in Maryland, as well as suntan lotion in the summer time. I’m so homesick that it hurts. If I win I can use a different candle each day for a different American scent experience every day. The smell of hay and manure always reminds me of the ranches I visited in Texas. 1. i simply love candles. 2. here in mississippi, this time of year when it storms, we lose power. Would LOVE to win some awesome candles!!! Such a cool idea!!! Chocolate chip cookies in the oven always reminds me of my mom at Christmas. It seems like we baked thousands of cookies each year! That smell instantly brings me home. 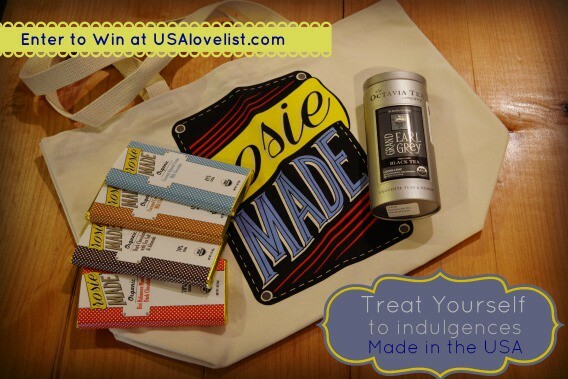 I’d love to win these because I’m a candleholic – and these are NOT synthetically scented! If I win this giveaway I can brag to all my friends that I finally won something by showing them all my lovely candles! When I was young we used to hike up Mt.. Manadnock in New Hampshire a lot during the summer and pick blueberries. At home we’d make fresh pie and jam, and of course eat a lot of fresh berries. I always think of New Hampshire when I smell blueberries. mdkennedy- sounds like I could use you as an adviser in my scent trip candles! I, too, have so many memories that revolve around smell. What an amazing, powerful thing the gift of scent is. Funny scent memory, but …. bacon. The smell of bacon reminds me of my dad who passed away in 1988. He always made breakfast on a Sunday (the only day he did anything in the kitchen other than eat). Thanks for sharing Susan. It’s amazing what powerful memories scent brings up. Incidentally, my dad also died around that time. He was in the military and always wore a starched uniform. Thus, the smell of spray starch (which I don’t think I’ve smelled in 20 years!) reminds me of him. I know that my mom would absolutely love these! I would like to win because the candles are all natural, gmo-free soy. Thank you for buying gmo-free Renee! I want to win because I like to turn the lights off (save energy!) and burn candles – so romantic! Typical american family: when i was little my Dad was permitted in the kitchen only on Sunday morning, and the only thing he made was strawberry pancakes – with a blender! The smell of strawberries in June always makes me think of my Dad and his (non)cooking talent. As a child, we spent a lot of time at the beach. Just as your got to the last bridge before the beach town, there was a briney ocean smell. As soon as you could smell the sea, you knew you’d (finally!) arrived! Soy candles are a much more environmentally friendly candle to burn than traditional candles. And I love candles. The smell of wood shavings reminds me of my dad’s workshop when I was a little girl. He was always making something! During my early elementary school years my family lived in Washington, DC and we were regular visitors to Potomac Park. I will always think of the great times we had in this beautiful park whenever I smell cherry blossoms! I love how cute the packaging is, and i love to burn candles in my house. its like art, history, craftsmanship & perfumery meeting in a perfect union….whats not to love??!! more the better….there is no such thing as too many candles!! !